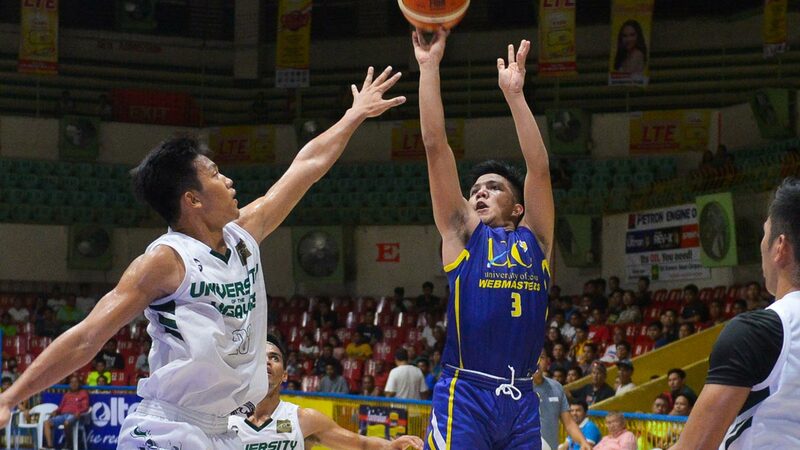 WITH coach Yayoy Alcoseba still displeased with foreign player Frederick Elombi after a horrendous performance against University of the Visayas, focus is on the locals as the University of Cebu Webmasters clash with the Lancers in the Cesafi semifinals. Darrell Shane Menina is expected to deliver for the Webmasters versus a Green Lancers squad that went undefeated in the second round. “We’re preparing as if it’s our last game,” said Alcoseba. UV holds a twice-to-beat advantage in the semis opening on Saturday. “We’ll give it our all since that will be our last game if ever we lose and none of us want that to happen. If we’re able to extend that series, then we’ll focus on the next game. But for now, we’re focused on Saturday,” said the Menina, who admitted that he and the rest of the team were overconfident when they lost to CIT-U a few weeks ago. That loss created a ripple effect on the Webmasters as they went on to lose two of their last three games to fall to their third seed. “We were overconfident. We learned a crucial lesson to never underestimate an opponent, no matter what their standing is,” Menina said.